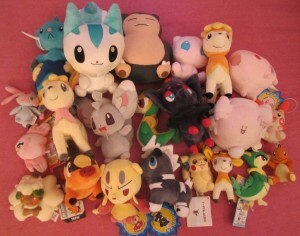 I will be claiming the Mew Pokedoll for $15. will be claiming the Whimsicott Type Focus Keychain for $15 and is willing to go higher if needed. I may also bid on a few items as well. Please do not bid until all threads are up. All threads are up. Bid away :D.
So it's been so so long. Had issues with the interwebs, New computer issues, and everyone getting sick all the time, and then I had my Con! i'll do post later this week hopefully with con pics! :D I was Iris, My hubby was Professor Elm, and My son was an Axew *kinda* he wouldn't wear his hat lol :P. I know some people were looking at some of those things i had for sale ages ago, well Tomorrow i hope to update my permanent sales page with all the left overs, I know I'm holding 3 items for someone but i can't remember who! I gotta dig threw the messages :/ they have piled up! Auction Ends Thursday Oct 4, 2012 at 5pm mountain time. The Pictures are in order from 1-95, everything is a different figure unless otherwise stated, and condition is based on what you see. Im not an expert in mini figures so What you see is what you get. If you would like better pictures let me know, I'm not a photographer and this is the best I could do but i can get more if you need me to! :D Happy bidding! Same person also mentioned Primeape was a booty as well. The caterpi's are the same one, I just wanted to show the writing that's on most of the figures. - I have duplicates of many of these. - Special offer for all $1 coins: 5 coins for $3! Feel free to ask others kinds of discounts as well, I just want to get rid of these. 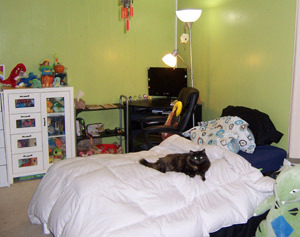 Also, I finally decided to let go of most of my TCG posters so I put a huge lot on Ebay. I hope the price is reasonable, it's about $10/poster and I've seen some of those go for $20-30, so it should be manageable. A nice chance for a GA, eh? :D Click the picture or here to get to the lot! Thanks so much for the awesome GA, Gin! 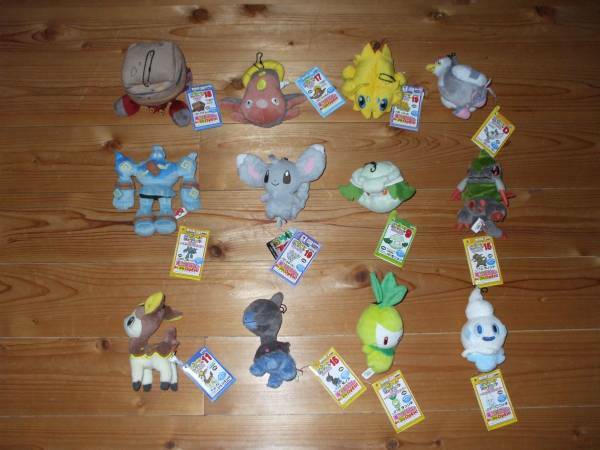 I'm in the need for a UK middleman that ships to the US, since let's just say a HUGE surprise showed up on ebay.uk, and it'll complete everything <333 Any help is appreciated! (LOL extreme adrenatline rush too!) Been purchased, thanks! this is a reminder that my auctions will be ending at 9 PM UK time TONIGHT! 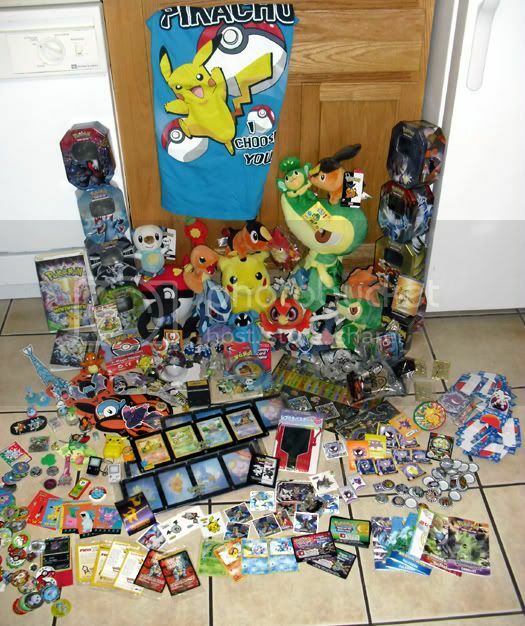 Always wondered how much space peoples collections take up in their rooms, like if it's a set space devoted to plush or a full-blown room just for pokemon? Auction Reminders, a Want, and a Question! Greetings, Collectors! I have a couple things to address. Click the pics or here to be transported to the auctions! Finally, I have a question. I recently completed a nice 1000-piece jigsaw puzzle and I'm itching to complete another puzzle now! 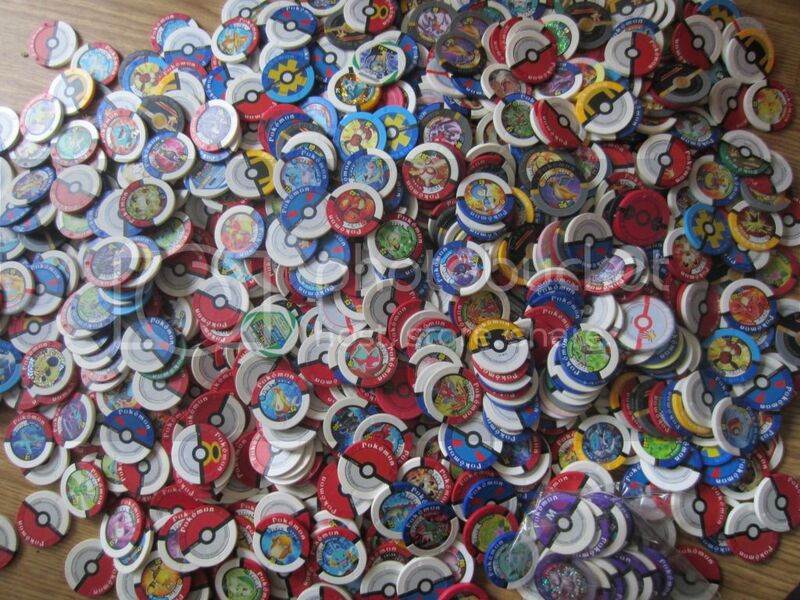 I thought a Pokemon one would be nice to have, and so I must ask... Do any of you guys know if there are some cool Pokemon puzzles floating around in the PokeMerch Universe? I did a little search a little while ago but there wasn't a whole lot that caught my eye. Ideally, I'd like to do one that has 500+ pieces and features a cool image (for example, artwork used for the recent Sugimori promotion), though those little 150-piece puzzles are cute and fun, too! I'll end this post with a small sales reminder. :3 I'm very overdue for a re-intro, so hopefully I can present that to you guys soon! 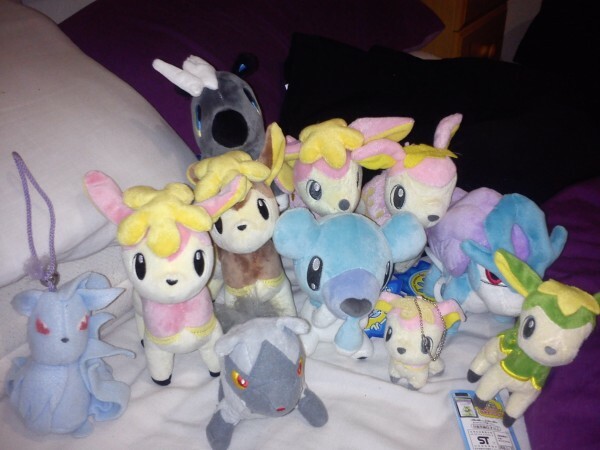 MPC Plush GB part 2 - Vanillite still available! Hey everyone. Myself and schenzi are offering another set of MPC plushes MWT. NOTE: There is a small risk of incurring customs fees with shipping to the UK. I will choose airmail as the shipping option to try and minimise this risk. Each plush will be $5.30 before internal shipping. 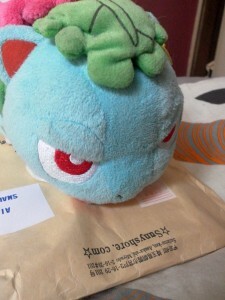 I love me some Venusaur. I also love me some Pokemon Time. PUT THEM ALL TOGETHER AND YOU HAVE ONE HAPPY PANNSIE. 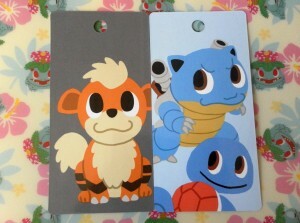 Also, I got these two bookmarks from my Venusaur straps! As nice as they are and as tempted as I are to keep them, I'm really looking for Venusaur ones! From my understanding, there's a Venu/Bulba version of the Squirtle/Blastoise one above, and a patterned one. Right now, I'm looking to trade these two for either Venusaur bookmark! But if no-one wants to trade, I'm open to just selling them. :B Though me an offer either way! So, the lot I bought off Y!J finally came, and defiantly didn't disappoint! Sooo may things. Looking for an Alakazam and Tangela Tomy figures. Does anyone have a good deal? EDIT: BIDDING IS OVER! Thanks to all participants! If we win We won! Totals will be posted to the comm shortly! TIME FOR A TCG POSTERS GA! 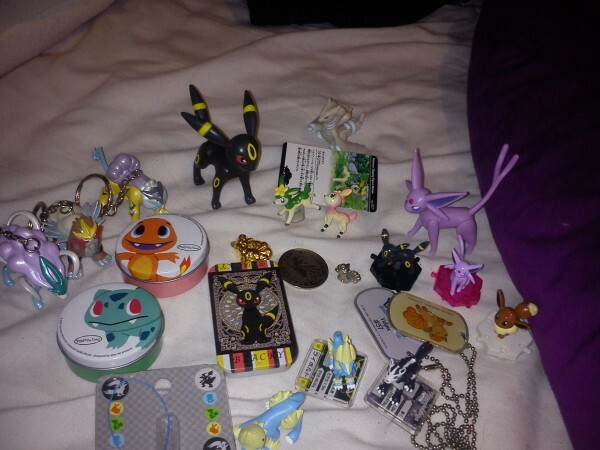 This lot is being presented on Ebay by our own Rainyan! 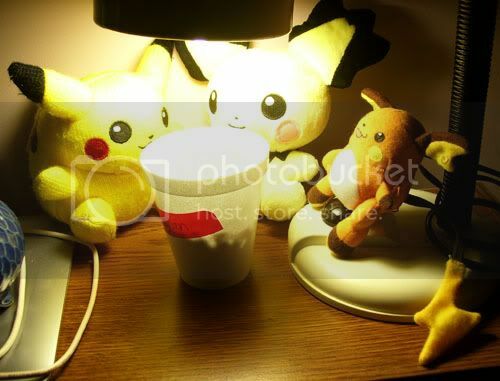 ★I am going to claim Roark/Cranidos and the mini Power Keepers poster for 35$! ★Start your own threads! If the thread is already started, bid only as a reply to the previous bid! Threads that have been started can all be found by clicking links under the cut. ★Individual shipping will be from the USA! You will be able to request a poster tube, but these posters are already folded (that is their natural state when they arrive at stores to begin with). ★Bidding will end October 2nd, at 23:00 PDT. Countdown clock is under the cut along with poster details from the auction! In keeping with the rules, as usual, my feedback and other credentials can all be found here. Hello everyone! I come to you with a some what bizarre question. 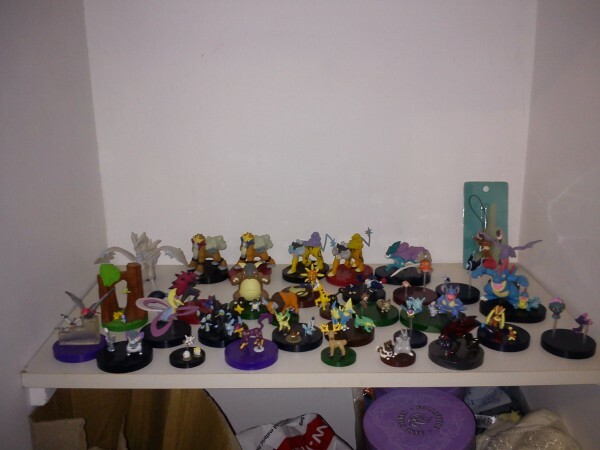 Now that I have acquired a lot of the more common pokemon figures in my collections I'm running into the problem of what's left to get. I've been looking at other community memebers collections to determine what I'm missing but if the maker isn't listed it makes that pretty difficult. I'm wondering what you all do to help complete your collections. Do you wait until you see something you don't have? Is there a website that lists merch for each Pokemon. I've been using Bulbapedia to keep try of TCG. Any help you all might have would be greatly appreciated! My question would be: Is there a specifically busy time on here which would be good for sales and stuff? My sales are moving at snails pace which probably will be mostly because they go by mostly unnoticed because of time difference and stuff. So if anyone could help me out a little here, it would be appreciated a lot! ^^" Thanks in advance! If there are any eevee cards from any other championship decks, please let me know! We are taking payments early because of time constraints; hopefully this does not cause any problems!